For years, RestorationMaster has proudly serviced the Fort Lauderdale, FL, area as an industry-leading disaster restoration and property sanitization provider. No matter the problem your home or office space is experiencing, our highly trained technicians can return your property to its original condition. Our IICRC certified technicians and licensed general contractors give us the ability to be your sole source of contact, which can save you the headache of working with multiple disaster restoration and cleaning service providers. It is our mission to provide you with the most complete service available, regardless of your individual circumstances. Our technicians are true professionals and have the experience to return your property to its original condition in a respectful manner. Here at RestorationMaster, we understand how difficult it can be to have professional restoration technicians on your property, which is why we ensure these high standards of service. To utilize any of our above services, please feel free to give us a call. We are available 24 hours a day, and proudly service home and business owners in the Fort Lauderdale, FL, area. Excess water and moisture in a home or office space is the leading cause of property damage. This is because the vast majority of building materials are porous, which makes them prone to this type of damage and allows the moisture to spread. Those in Fort Lauderdale, FL, are especially susceptible to water damage because of humidity as well as hurricanes and tropical storms that regularly strike the area. 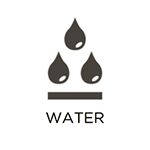 However, water damage can also occur from burst pipes, leaks, and other scenarios, as well. Here at RestorationMaster, we make use of our industry-best moisture removing equipment and methodologies to fully restore your property with our water damage restoration services. 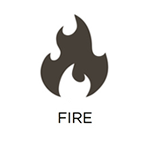 Fires are an especially troubling disaster because of the ferocity with which they spread. Putting them out can take a lot of water as well, which can lead to further complications. In addition to this, the resulting smoke, soot, and other corrosive byproducts released from the fire can cause damage long after the fire has been put out. Here at RestorationMaster, we address all of these problems and more through our fire and smoke damage restoration services in Fort Lauderdale, FL. As environmental consultants, and highly experienced restoration experts, we understand how fires, smoke, soot, and other byproducts spread, and address them appropriately. 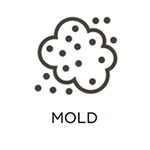 Mold growth is a common occurrence in many homes and office spaces because these buildings are constructed with materials that naturally contain cellulose, a popular food for mold. This means that if your property is exposed to excess moisture, mold is more likely to take hold. Once it does, it can quickly spread and cause a variety of complications. From structural damage and foul odors, to potential health concerns for those living in close proximity, the consequences of mold growth can be severe. This is why we offer full mold remediation services here at RestorationMaster for homes and businesses in Fort Lauderdale, FL that are affected. Almost any event that causes some level of property damage will leave behind a foul odor. This odor can become trapped within porous building materials and personal possessions, and must be addressed quickly in order to avoid permanent damage. To make matters worse, some odors can be the result of materials that are harmful to those living in close proximity. Mold growth is a common example, as is smoke and soot from a fire. Regardless of the cause, we can remove odors from your property, personal belongings, and air spaces in Fort Lauderdale, FL with our deodorization services here at RestorationMaster. In the event of significant property damage, your personal belongings are at a high risk of being damaged in addition to your home. In many cases, the difference between permanent damage and a full restoration is a matter of hours, which is why we encourage you to contact us here at RestorationMaster as soon as possible. We provide content cleaning services in Fort Lauderdale, FL to restore your belongings to the fullest extent possible on-site. If your property is not in a stable enough condition for us to safely restore them there, then we can restore them at one of our secure facilities through our pack-out services. Following a devastating event, your home or office space is at risk of sustaining more damage if it is not properly secured and stabilized. This is why we encourage you to contact us here at RestorationMaster to evaluate the condition of your property, and provide our emergency board up services, if necessary. We can stabilize any elements of your building that have been structurally damaged, and seal off any openings in your building that expose the interior of your property to the outside world. This will give you a better understanding of the levels of damage sustained, reduce the risk of taking on more damage, and keep residents safe. In the event of a natural disaster, major accident, or other devastating event, you are likely to be left with significant property damage to worry about. Here at RestorationMaster, we do everything possible to make your reconstruction efforts the least of your worries. 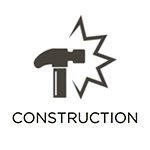 We can provide every aspect of restoration in Fort Lauderdale, FL, from an initial evaluation to full reconstruction services and project management. This means that we can be your sole point of contact, provide full reconstruction services, help you with filing insurance claims, and return your life back to normal. We understand how devastating it can be to experience extensive property damage, and make it our goal to provide our services in a way that causes you the least amount of stress possible. Following a natural disaster, severe crime, or major accident, there may be harmful biohazard materials left behind. In these situations, it is important that you contact licensed cleaning professionals, such as our professionals at RestorationMaster, right away. Because of the health risks associated with blood, tissue, and other biohazard materials (such as major infections and diseases), governmental agencies require special licenses to dispose of the material, and properly clean it. Unfortunately, law enforcement personnel and EMTs are not trained to do this, which is why you must contact us as soon as you can. 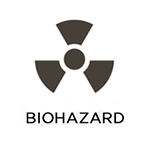 We understand how traumatizing these events can be, which is why we provide our industry-best biohazard and trauma scene cleaning services with the greatest level of sensitivity and discretion possible.